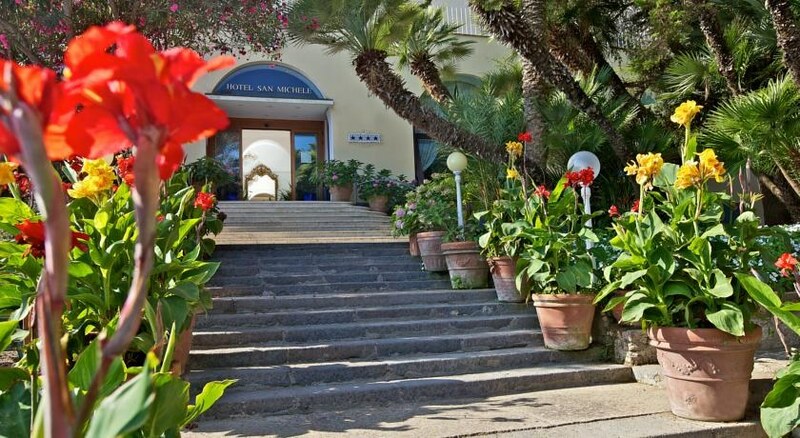 This attractive hotel is surrounded by wonderful gardens and enjoys breathtaking views out over the island, the Bay of Naples, the Sorrento Peninsula and the Amalfi coastline. The centre of Anacapri is just a short distance away, as is the chair lift that will take guests to the highest point on the island, Monte Solaro. It is 5 minutes away the town centre where guests will discover various shopping venues, countless bars and restaurants as well as many entertainment venues. 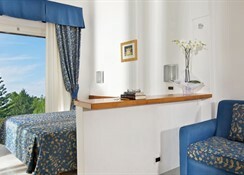 Some of the hotel's facilities include a foyer with a 24-hour reception desk, a safe and a lift. There is additionally several salons, a bar, a pub, and an air-conditioned restaurant that offer amazing panoramic views out over Sorrento golf course. 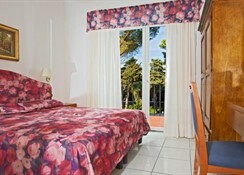 The modern rooms come with an en suite bathroom, a balcony and are all fully equipped as standard. There is a freshwater swimming pool, a sun terrace, sun loungers and parasols available for use (for an additional fee). Guests may swim in Marina Piccola and in Marina Grande (both are about 5 km away) and sports enthusiasts may play tennis on the courts that are to be found close by (for an additional fee). 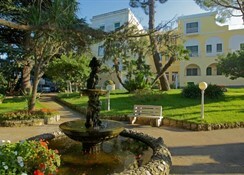 Built in 1892 and renovated in 2004, this hotel comprises a total of 60 rooms and offers access to various facilities including a foyer with a 24-hour reception desk, a safe and a lift. There is additionally several salons, a bar, a pub, and an air-conditioned restaurant that offer amazing panoramic views out over Sorrento golf course. Laundry and room services round off the offerings.The modern rooms come with an en suite bathroom with hairdryer, a direct dial telephone, satellite/cable TV, a minibar/fridge, air conditioning (from 01.05 to 31.10) and a safe. 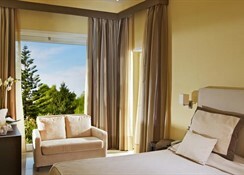 The tasteful rooms also feature a balcony or French balcony or terrace (some with views out over the sea). Beds for infants are available on request and on payment of an additional fee.